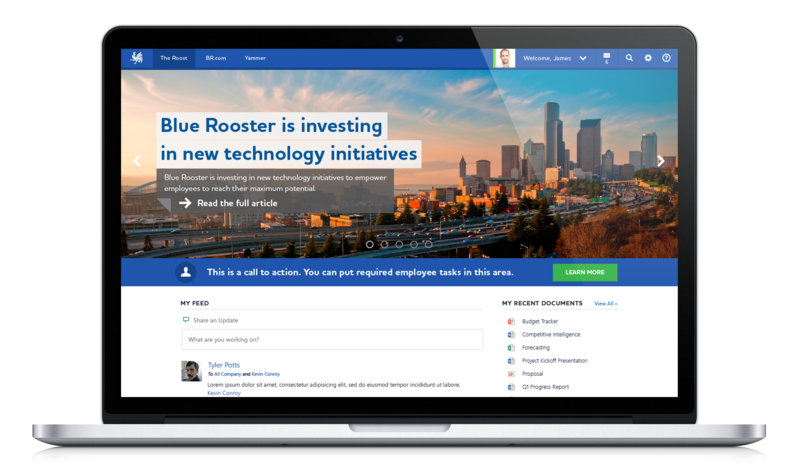 Blue Rooster was in need of an intranet to help increase productivity and streamline communication and file storage across remote teams. 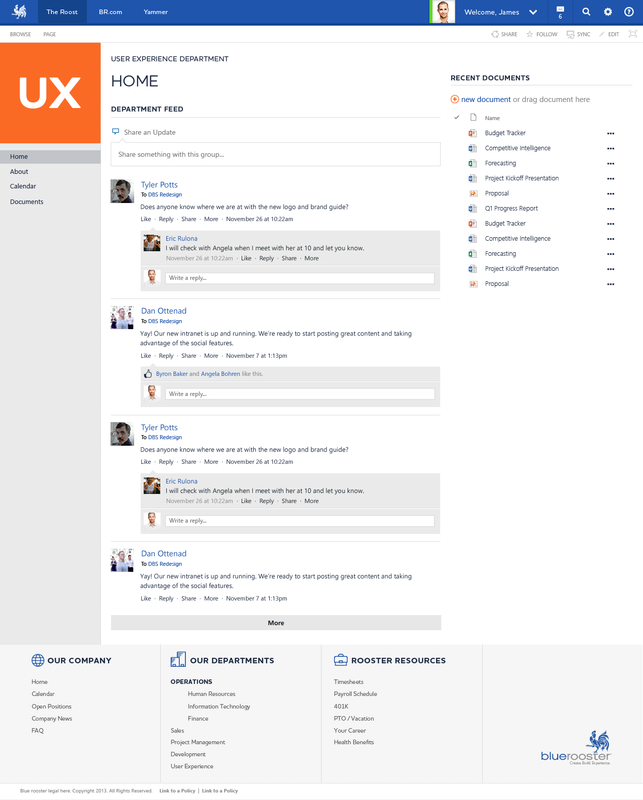 It was my task to brand the designs of a previous intranet engagement in Blue Rooster fashion. 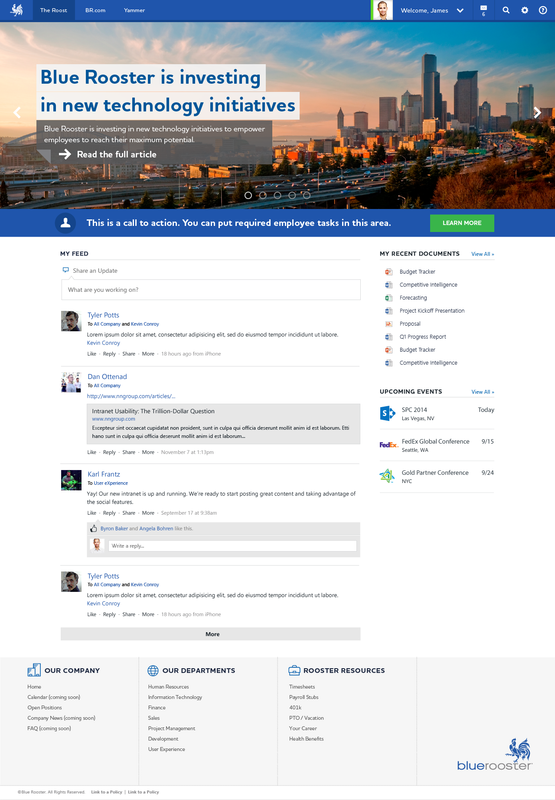 I ended up adding a few additions to the previous designs, like a full-width image slider and a temporary call-to-action.